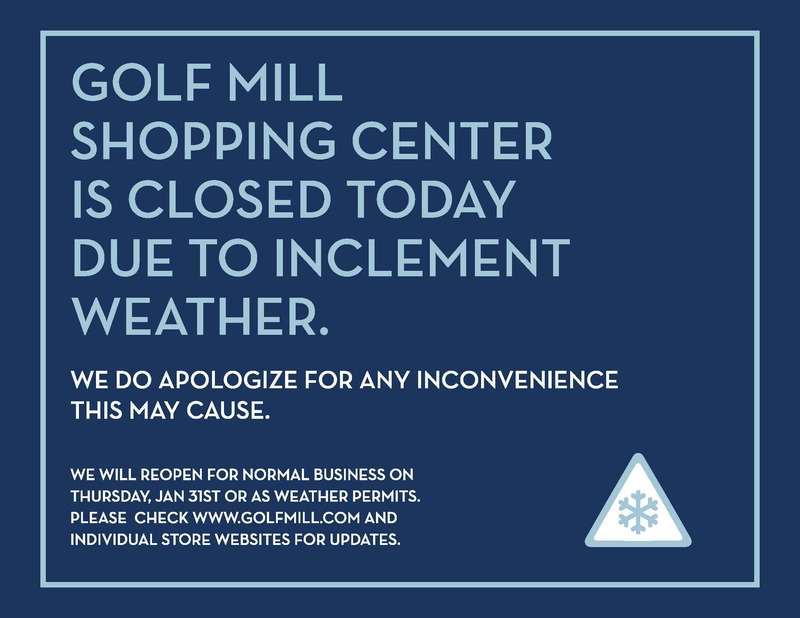 Golf Mill Shopping Center will be closed on Wednesday, January 30 due to inclement weather. Anchor stores may be open for business, please contact them directly for their hours tomorrow. We are expecting to reopen regular business hours on Thursday, January 31. Please check back on our website for updates.